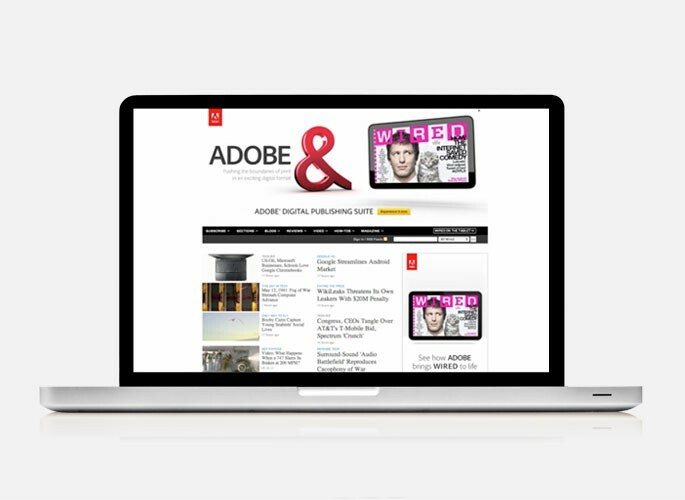 In remaking WIRED’s first issue on the tablet for the 20th Anniversary, WIRED created an organic experience that showcased how Adobe software is used by WIRED’s editorial team to tell stories, enhance the consumer experience, and push the limits of what’s possible. 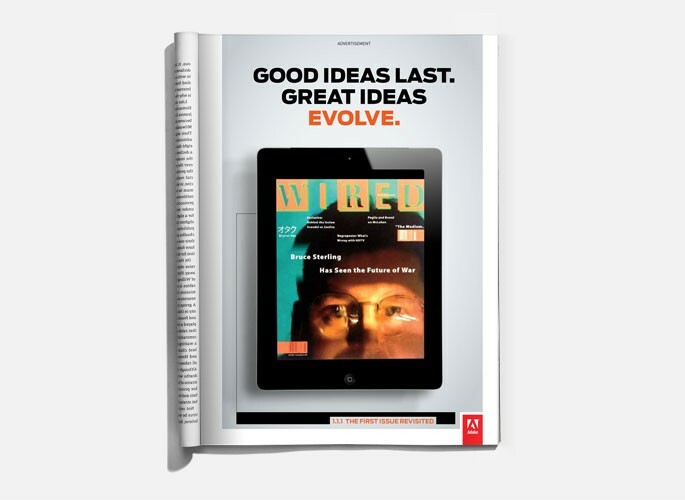 Video: A three-minute video featuring WIRED editors discussing the making of 1.1.1 was developed using the Adobe Digital Publishing Suite. 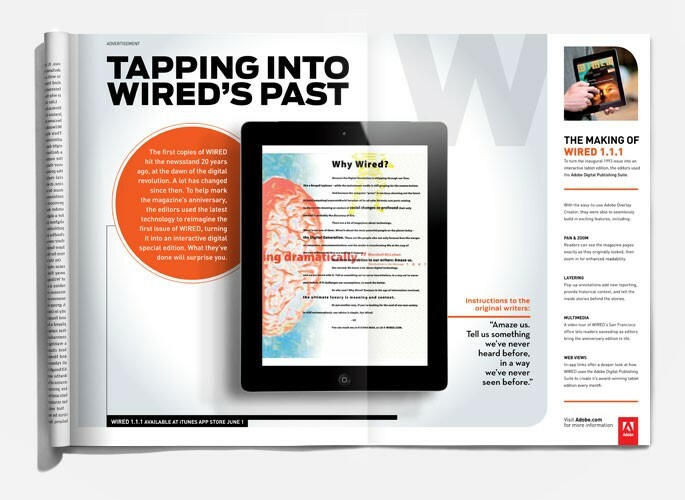 Print: WIRED created a custom 4-page gatefold unit announcing the 1.1.1 tablet issue and teasing the “making of” the custom edition. 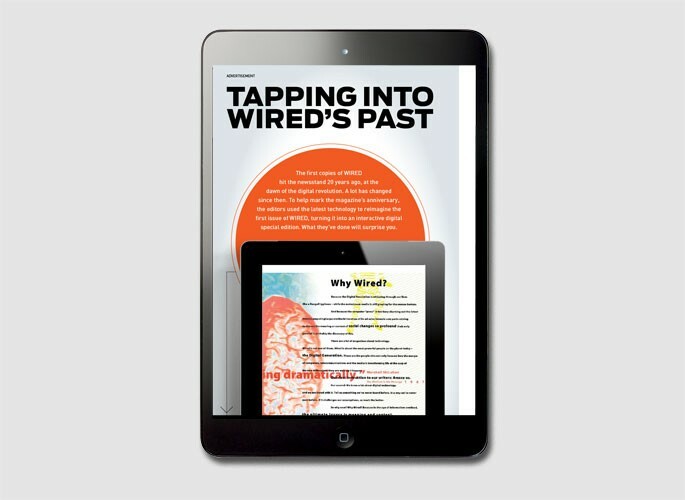 Digital: At launch of 1.1.1, a custom homepage takeover announced the release of the tablet issue and featured videos showcasing the ways in which the WIRED editors used the Adobe Digital Publishing Suite to recreate the first issue of WIRED on the tablet.